Throughout the week, we hit our city streets, markets, university campuses to share the gospel with people, through conversational evangelism. Over time, we have come to realize that most of the conversations we have with people usually end up being about 5 different things generally. Therefore, we love focusing on these 5 areas when we evangelize. As we focus on these different areas, we are challenged to know more, and strive to bring Biblical truth to all these 5 areas. Come join us on the streets, or on a local university campus and have you faith challenged, and your witness sharpened as you discuss with people about these areas. Our desire is that every conversation will lead into the sharing of the gospel. Nothing gets people talking about mortality like a big wooden coffin. This outreach is always a great one and provides us with amazing opportunities to hear what people believe about the after life, and why they believe what they do. 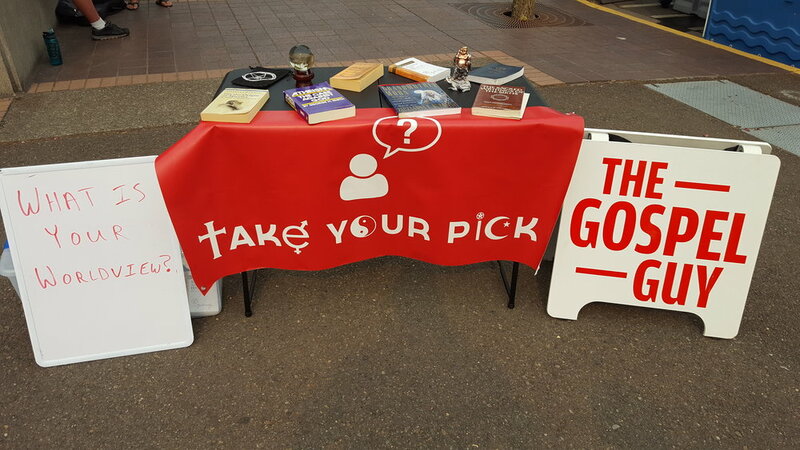 Our “Take Your Pick” table is full of literature, symbols, books, etc…that represent all sorts of different worldviews. This is a fantastic way to hear what worldview people have, and share about the Biblical worldview we believe. We engage people in discussion about how their worldview answers the questions of life such as where did we come from, what is our purpose, where are we going, what is reality. Our “Bible: Fairy Tale, Fiction, or Fact” outreach is a great way to talk to people about the Bible and what they believe or do not believe about it. This is a fantastic way to present to people why we believe the Bible to be Gods word. We discuss things like translation, interpretations, contradictions, etc..
Our “True or False” outreach is meant to get people thinking about truth, what it is , what it is not. We discuss things like subjective truth and absolute truth, while pointing people to Jesus as the way the TRUTH and the life. What people think of Jesus is the most important decision in life. This outreach is straight forward and simple. By asking people who they believe Jesus to be we are given opportunities to share how we can know for certain that Jesus is God, and the only way to heaven. 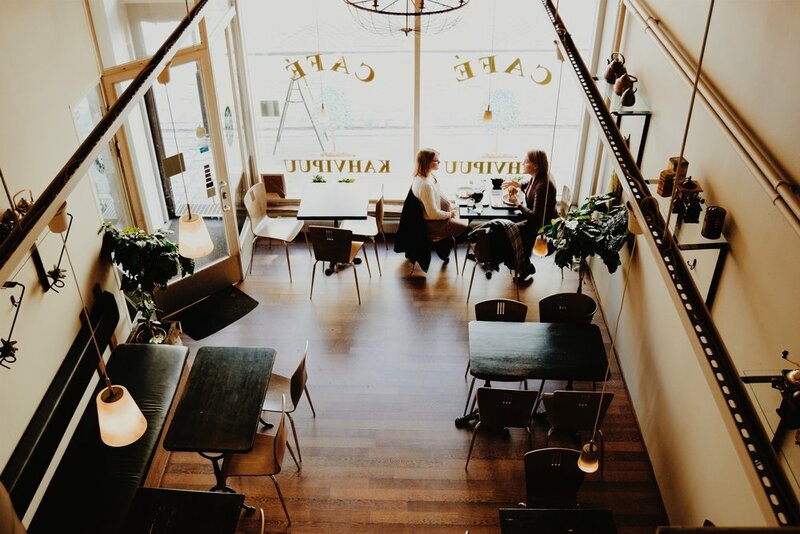 We take follow up seriously, therefore much of our time is spent going out for coffee with people whom have expressed interest in the gospel, or have the desire to meet with us to discuss more about God, etc… We believe that follow up starts B.C…before Christ. There is no such thing as wasted time when talking to people seeking truth.